Make an impact with your website. Increase your google ranking and website conversion by working with our team of professionals. Book a FREE 1 hour, face to face meeting to discuss how a great website can drastically improve your business. What do you need your website to acheive? A website plays an incredibly important part in your marketing. It is working when you are not, 24 hours a day, 7 days a week. You need to make the right first impression and the best way to do this is with a great website. We believe you need a range of skills to deliver an effective website. Making sure your website is found on google is just the start. Your website needs to engage, excite and convert visitors. We take a look at the entire customer journey and ensure that your website is not just found on google, but that people are motivated to click the description. When they arrive on your website you want to make sure they are impressed and that it is easy to take the desired action. Juliet�s Catering create innovative and individually designed menus for anything, from large weddings, charity balls, dinner or drinks parties. 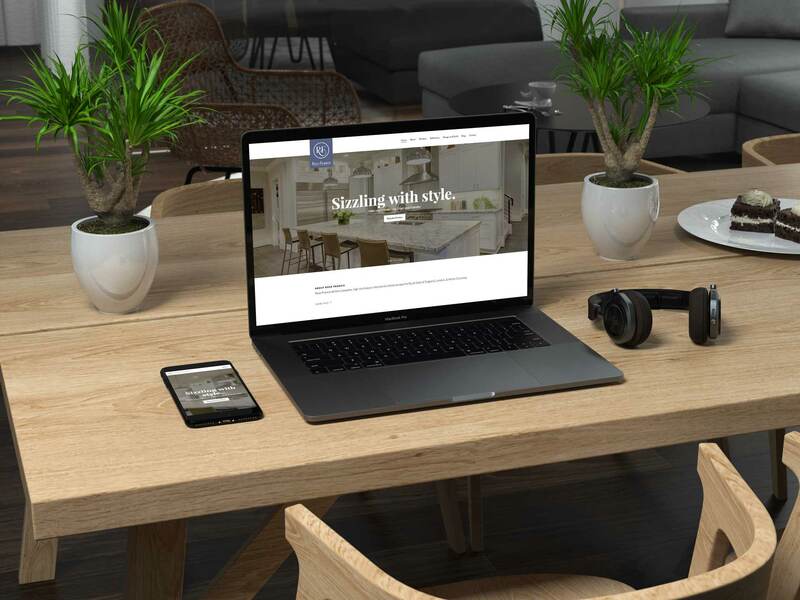 We are based in the creative town of Hastings, just a stone's throw from the beach and within 5 minutes walk of Hastings Old Town and are proud to call ourselves a Hastings web design company. We can, however, work with businesses anywhere in the world and are not limited to our immediate area of Kent & Sussex. When having a new website built you will want one that is not just a great looking but also functional, and that is what we deliver. Don't just take our word for it though why not read some testimonials below, view our portfolio or if you have any questions check out our FAQ. Get in touch today to request a free website review. We can show you our working process and explain how a great website can save you thousands of pounds. 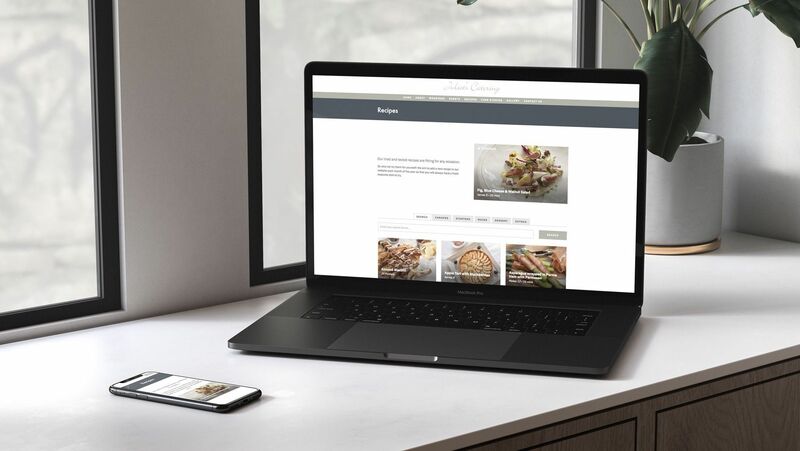 We pride ourselves on being able to adapt to your needs and use whatever CMS software you require, but our favourite is Craft CMS! What do you need it to do? A website with an online shop or booking system cost more than one with just information. We only quote for what you need so get in touch and we will be able to let you know. As a guide, our websites start from £2900 (+VAT). Will it work on a mobile? Yes, all our websites are responsive and will work on all devices including mobiles, tablets and even TVs. Yes, they will. All of our sites come optimized for search engines with the correct headings, tags and meet all google guidelines such as mobile friendly, fast loading and SSL certificates. Do you provide additional SEO? Yes, we do. SEO or Search Engine Optimisation is key to getting your site found and ranked on sites such as Google. Why not look at our SEO Page for all the details. Do you make e-commerce sites (online shops)? We sure do. If you have a product that you need to sell or a service that needs booking we can provide an online solution. Our main office is in Wellington Square, Hastings so if you are looking for a local Hastings web design company we could be it! If you are near to us such as the Bexhill, Battle or Rye area; we can easily meet for a coffee. Or we can work with businesses anywhere in the world, recent projects have seen us work exclusively via Skype and Email.